I’m on a mission to fund a cure for Glioblastoma multiforme; the most aggressive form of brain cancer. GBM is a notorious killer of men, women and children – it even had me in it’s jaws – but I managed to escape and now it’s my turn to bite back! Read about my cancer journey by clicking on the About tab. This is my fundraising blog where everyone will be able to track the awesome stuff I’m doing to raise money for a cure. All of the money I raise will go directly to QIMR Berghofer Medical Research Institute. Thankyou my awesome husband 🙂 I would never have been able to get through it if you weren’t there supporting me. You are my hero. Love you with all my heart. Great to meet you too! Just arrived at May’s. She’s fed me already! Thanks Hayley 🙂 I arrived no worries and made it home last night. Yay! Hi Jen, I’ve been reading your diary for the last two days – what an adventure!! WOW. 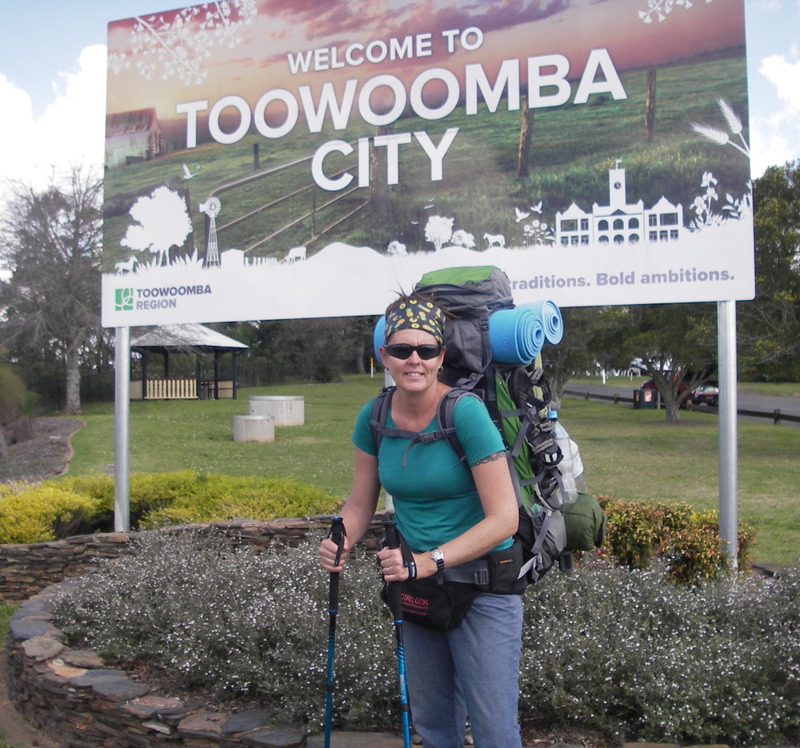 CONGRATS on finishing the hike – you did it girl, woo-hoo!! Looking forward to your next letter. I feel so sorry for you. You created the situation you’ve got out of thin air. What a waste of awesome human potential to behave in such a way. Not just you, but the other people involved. I feel sorry for all of them. You have some strange ideas, I’ll give you that and unfortunately for you those ideas have landed you upside down in a land that you never knew existed. You might recall in my interview that I told you that I was a resilience expert. That doesn’t mean that I don’t get upset when I get sad, scared, angry or threatened, it means that I bounce back almost immediately after whatever it is that put me off kilter has been dealt with, which is why I feel sorry for you. You tried to upset me and probably thought you would make things hard for me, but all that’s happened is that you made me feel sorry for you. The thing that you don’t understand about me – I don’t actually care about money. You thought you knew about me and thought I was fixated on money. It was NEVER about the money, but you just wouldn’t or couldn’t hear me when I tried to explain that to you. It was about what’s right, not just for me, but for everyone who works there and potentially every person who works for the same department in the entire state of Qld. I feel so sad that you’ve spent energy on something like this that could be better spent on delivering outcomes for which you are tasked with the responsibility of providing. I thank you for paying me $32 000 to learn some really awesome lessons about how to make my life even more amazing than it already was.You’ve done me a huge favour by giving me this opportunity and I will use it to my advantage in the same way I’ve used all the opportunities that Have come my way in a life that’s never been particularly easy. I’ve told everyone I know about the lessons I’ve learnt and they are all shocked to hear how I came to learn these, but they know what kind of person I am and they know that I am unbreakable.